I`ve rechecked the USB stick under Oracle VM running Ubuntu. For some reason I couldn't paste the console output through the clipboard hence the screenshot. My ARCH installation is lost, somehow my USB stick become corrupted after doing USB->image backup under windows, e2fsck showed tons of errors. So I`ve reformatted the whole thing to become Ubuntu on Pogo E02. I've splitted this into its own topic. Please repost in the new thread below. Edited 1 time(s). Last edit at 02/22/2016 04:05PM by bodhi. I have a question regarding to the B part. Can I skip it as I want to keep using my current env? you helped me alot for this when I was flashing 2014.07 version and I screwed up the env. Edited 1 time(s). Last edit at 02/25/2016 07:28AM by codier. If you are running 2014.07 u-boot, already flashed its default envs, then there is no need to flash the new defaults. it will work fine! BTW, that version is not that much different from the new 2015.10 version. You don't have to upgrade u-boot if you don't need the new features. The main reason is I want to upgrade my kernel from 3.17 to 4.4. Do I need to upgrade my uboot in this case? > the new defaults. it will work fine! > u-boot if you don't need the new features. No need to. Just be carfeful with the jump from 3.17 to 4.4. Backup your rootfs first! I would like to revive the problem about Sandisk Usb recognized only the fisrt time at boot and no more. Because Installed Debian for an I2x-200 using the netinstall images, and I succesfully installed it onto the sandisk stick, and instead I unsuccesfully tried later using the Ready images from your work, I realized that the trouble isn't about the sandisk stick but something in the kernel (yes you know that , but I'm just telling the full history). So not only my NSA325 has troubles with the sandisk but also the i2x-200, with the uInitrd from your work. I tryed your latest 4.4.0 images and they worked whan I used a different usb sticks. So I tried the command 'usb info' after the first 'usb reset' and after others 'usb reset' and what I can see that after the reset the system loose to recognize the usb hub where the sandisk stick is connected and after that the usb key isn't recognized anymore. Yes, my understanding can be wrong: I'm not so skilled, I just said it, but I hope it can help you brothers solving the question. I don't know how to open an uInitrd image to look into and search for anything different about drivers or settings, comparing the working one and the yours. If it helps I can upload all two. Marvell EHCI, could it be that in the newer uImage the system send a wrong usb reset? My be some common addresses for Sandisk stick and the Marvell? Post here the entire serial console log (from the u-boot banner until the boot process stops). I split the most recent post into its own topic. I solved my problems that was primarily due to my incompetence and secondary by my uncorrected understanding of your explanations. 2) set the name of the root partition exactly to "rootfs"
"LABEL=rootfs / ext4 noatime,errors=remount-ro 0 1"
Using others usb sticks I named the root partition in other names (USB_ROOT, ROOT, USBROOT) and they worked fine. I'm pretty sure I needed set the label only in U-BOOT or in the etc/stab file, I don't remember for sure wich one. I believed there were the need to name these point in the same way but if I'm correct, then you need to set EXACTLY to "rootfs". Today I tryed again all the passages and verified the need of these points, I hope I didn't forget any step, if it will be the case, then I'll add other informations later editing this message. Edited 1 time(s). Last edit at 02/29/2016 10:50AM by desigabri. Is the rescue system still work with your 2015.10 U-boot? > Yes it should work fine. Thanks. I made decision to upgrade my U-boot. The rescue system is not working with my 2014.07 at this moment, so I will upgrade U boot then flash rescue system. Just want to confirm something first. (1) Do we need to reflash the rescue system every time we flash/upgrade the U-boot? (2) Will the rescue system boot up if no device attached to Dockstar (in my case is Dockstar) automatically? > Just want to confirm something first. > time we flash/upgrade the U-boot? No. But as always, you need to make sure that your u-boot envs stays the same. Meaning that if the rescue system is working, then the current set of envs is important, and should not be changed. If you flash the new default envs comes with the new u-boot then you wil need to retrofit the old settings to it. That's the purpose of the rescue system. But I can't garantee it, because I'm not using this rescue system. So you need to judge for yourself. If you have problem booting then I'll help get it working. If you don't have serial console, then you must install it. Because it is very difficult to troubleshoot problem that comes from u-boot installation without serial console. > > Just want to confirm something first. > > time we flash/upgrade the U-boot? > the old settings to it. > rescue system. So you need to judge for yourself. > installation without serial console. > Thanks bodhi. I have my serial console ready. Edited 1 time(s). Last edit at 04/02/2016 03:57PM by bodhi. Please do make a new topic if you have booting problem. Edited 1 time(s). Last edit at 04/02/2016 04:51PM by bodhi. 1) is this the environment that is the supplement of the the environment from U-boot? 2) Who has first priority? uEnv.txt or Uboot? 3) when there is/are same syntax in both place. who gets loaded? Edited 1 time(s). Last edit at 04/04/2016 02:24PM by codier. > of the the environment from U-boot? > 2) Who has first priority? uEnv.txt or Uboot? > 3) when there is/are same syntax in both place. Envs in uEnv.txt will replace the same ones in U-boot. Or it will create new envs. I flashed the env variables (and uboot) from the post to my dockstar, but boot delay is now set to 0. Problem is my rescue/pogo system does not load, and usb is not initializing by those env vars either. I try to break using space bar or ctrl+c to get to the uboot command prompt but it is not catched. The uboot process starts and shows usual stuff for a dockstar, then I see "Hit any key to stop autoboot: 0", then it shows something like "Uboot2015.10>>>Uboot2015.10>>>Uboot2015.10>>>Uboot2015.10>>>Uboot2015.10>>>"
THen all I can do is restart the dockstar and it loops like this. Is there a sure way to force uboot to go to command prompt at boot when boot delay is set to 0? Your serial console has a problem. Unplug, check the wire. Also check the dockstar header connection. Even with bootdelay=0, it still interruptable. Edited 1 time(s). Last edit at 04/05/2016 12:29PM by bodhi. That was it. I am actually using a linksys wrt54g as client under openwrt using minicom at the other end of the dockstar because the serial is compatible. My cabling is hanging and the cables are just touching the contact on the linksys board. One of the contact must have gone loose, and I did not know what to expect after upgrading to the new uboot. Thanks for saving my Dockstar. image, especially powering the phy for eth0 is working OK over all combinations of shutdown, poweroff, reboot, etc.,.. because I wanted to have strict usb booting only, so some of the env if statements could be dropped,..
the other NSA320 box is still running with uboot.2014.07-tld-4.nsa320 and it is not much a difference in the behaviour,..
so it could be dropped, or what do you think? Edited 2 time(s). Last edit at 04/07/2016 09:12AM by pbg4. Yes, the USB should work without that memory poke. For the NSA320 I would recomend upgrade. There are only minor features improvement, but I think that experienced users like you would like to have. to get here, I installed goflexhome uboot 2015.10, I then installed uboot default environments 2014.07 over the top without wiping, I then grabbed debian 4.4.0 rootfs and it booted, I followed the guide of ssh key refresh and apt-get update and apt-get upgrade, and set the correct arcnumber and machid and ethernet address using setenv. shall I go find my serial cable? Edited 2 time(s). Last edit at 05/11/2016 04:14PM by hecatae. > shall I go find my serial cable? Not yet! there is a recovery path here: use uEnv.txt as described in section D.
- Take is USB rootfs to the GFHome and boot with it. - Note that if the uboot.2014.07-tld-3.environment is used as is, your box will be booted as GFNet because of the DTB env, but it is OK in your case. Or you could go ahead and edit the file to point to the GF Home DTB. 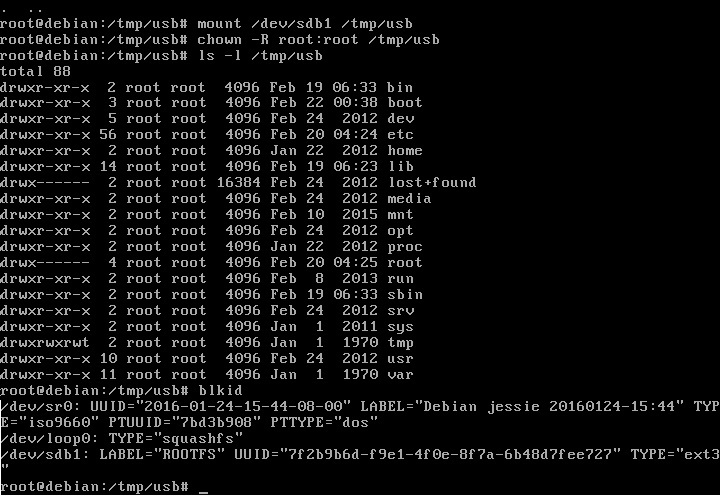 - Afer you booted into Debian, reflash the uboot.2014.07-tld-3.environment.img. I forgot to ask, where did you see this ? edit: done as requested, still requesting that file via tftp, flashing green, then gives up and flashes orange. Edited 1 time(s). Last edit at 05/12/2016 12:05PM by hecatae. Yes, it's time for serial cable.